Nowadays, it is life changing for a woman to wear the most expensive shoes out there. I am very sure that all shoe lovers (women, in most cases) will relate to this. Expensive shoes are more like an investment and not necessarily a luxury. It is worth it to pay more for expensive shoes because they guarantee you quality and comfort. You will have to pay for both the brand name and the quality craftsmanship. Let’s take a look at a list of the most expensive shoes in the world and add to our wishlist, maybe we can buy at least one of them, if not all of them. If you are curious to know more about these shoe brands, just sit back and read on. Touted as the world’s most expensive footwear at Us $17 million , the Passion Diamond shoes are displayed alongside Jada Dubai’s newly launched collection of jewelled shoes at Burj Al Arab .They are made in collaboration with Dubai’s Passion Jewellers, the Passion Diamond pair are crafted from real gold, while a D-flawless 15-carat diamond adorns the toe of each stiletto. 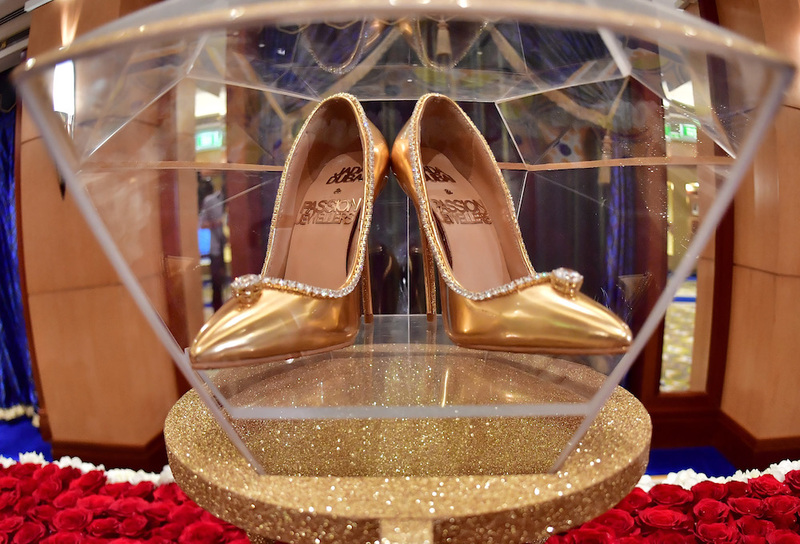 A total of 236 diamonds line the opening of the shoe where it meets the foot.A pair of shoes worth 17 million. Diamond-Studded Heels designed by a UK-based designer, Debbie Wingham overthrew the long-time world’s most expensive shoes off to the second spot. These pairs of shoes come with a massive $15 million price tag. This shoe features more than 1,000 diamonds, which are set in platinum with 24-carat gold-thread stitching. There are a set of rare pink and blue diamonds, which costs about $13 million. This is the second most extravagant women shoe of them all. This shoe is the official replica of the ruby slippers but it comes with stones that are more expensive than the original shoes. the House of Harry Winston unveiled this version of the shoe during the festival of the 50th anniversary of The Wizard of Oz. this shoe is boasting 50 carats of diamonds and 1,350 Kwait of rubies with which they spent two months to piece them together. This open-toed heels cradle a pair of jewelry is similar to the Marilyn Monroe shoes and it is owned by the Hollywood legend whose name is used for the creation. It is designed with sapphires, rubies, and diamonds coated in a satin ruffle at the toe. Hayworth first wore these heels in her movie. This pair is made with Italian leather coated with about 565 Kwait diamonds set in platinum. These pairs look like they brought them out of Cinderella’s Closet. Its delicate, lacelike straps home 5-carat amaretto diamond, which valued more than a million dollar. Alison Krauss wore these shoes at the 2004 Academy Awards. 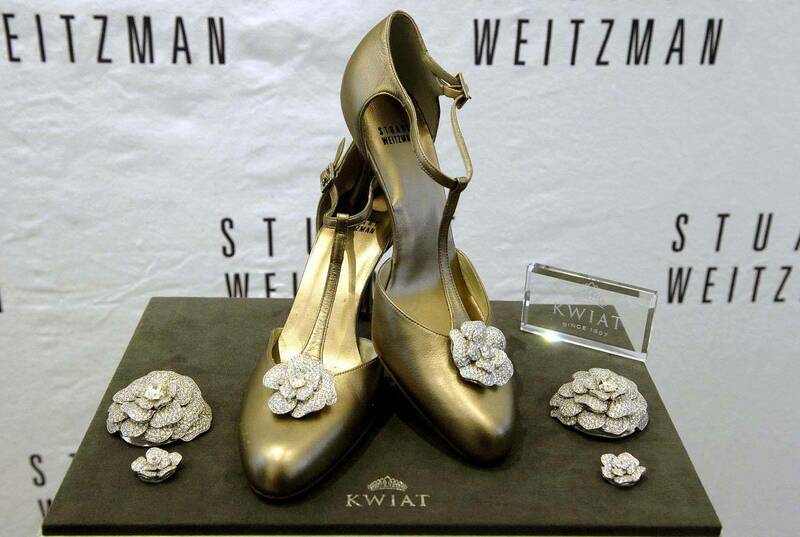 These luxury silver shoes were made by the joint effort of French high-end jewelry designer Weitzman and Eddie Le Vian. Its straps are coated with 28-carat diamonds and 5-carat blue tanzanite gems and completed with a dangling 16-carat tanzanite drop. Its toe strap is also decorated with tiny diamonds. 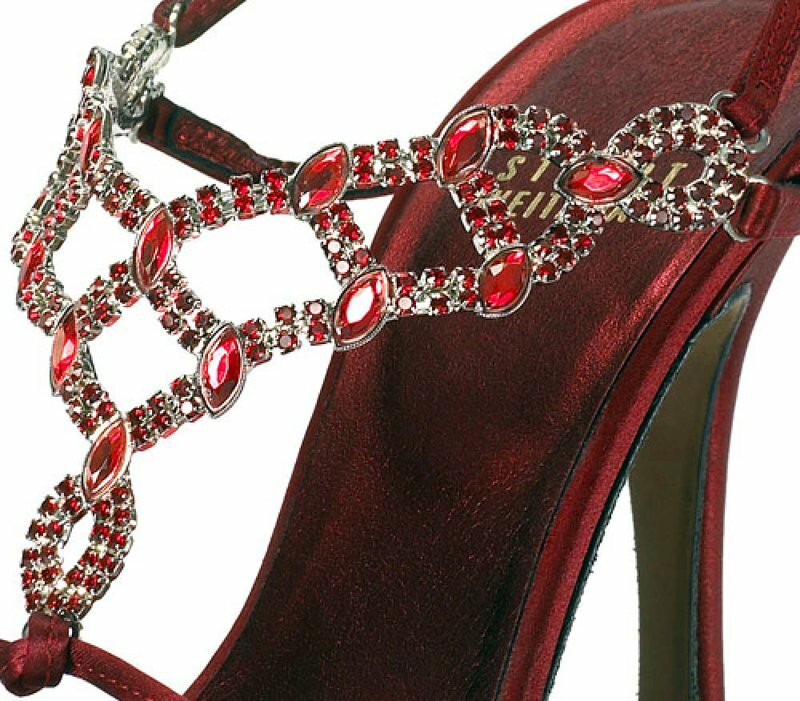 These stilettos are designed 642 oval and round Burma rubies placed on a fragile upper of red satin. All these stones boast a total of 123.33-carat set on a half a pound of platinum. These shoes were displayed at the Harrod’s in London. 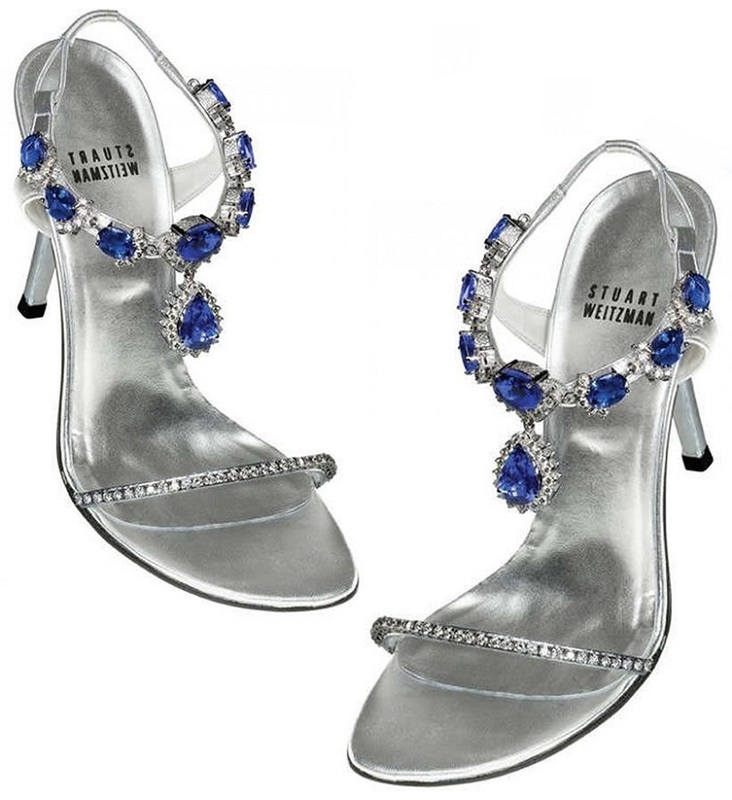 This is a rare collection from Stuart Weitzman, which was released in 2002. It is created with platinum fabric intricately coated with 464 Kwiat diamonds consisting of both round and pear-shaped stones. The straps of this shoe can also be detached and worn as a necklace. 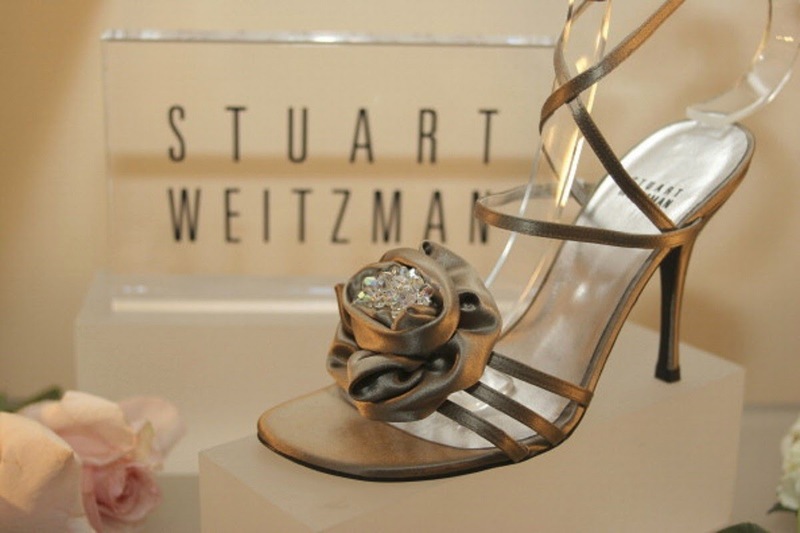 This is another Stuart Weitzman creation that boasts a traditional T-strap and a complicated rose placed at the top center of each shoe. These roses pumps are made of 1,800 Kwiat diamonds, which weigh 100 carats. To provide a breathtaking appearance, the whole shoe is decorated with 400 more diamonds. 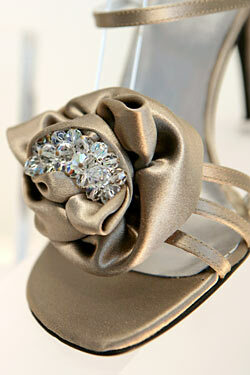 This luxurious shoe features a satin rose decorated at the center with a cluster of Swarovski crystals. This shoe represents the life the actor had lived and Marilyn Monroe does not own it. TV director and American actress wore this shoe to grace the 2005 Oscars. 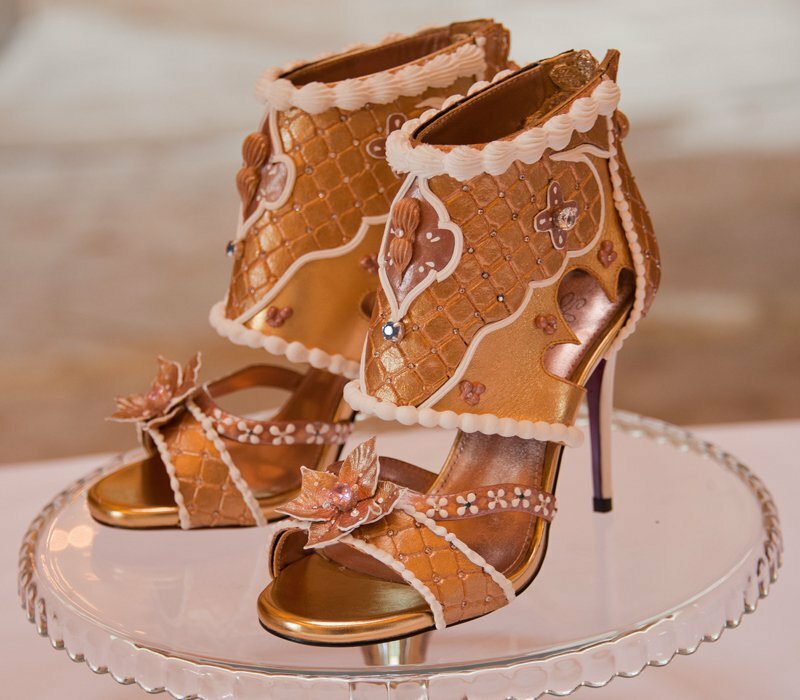 The shoes were replicated and auctioned after the award ceremony for $1 million. 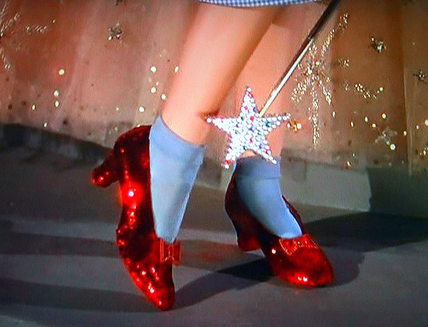 These are a magic pair of shoes worn by Dorothy Gale. Dorothy Gale is a character rendered by Judy Garland in the 1939 movie “The Wizard of Oz”. 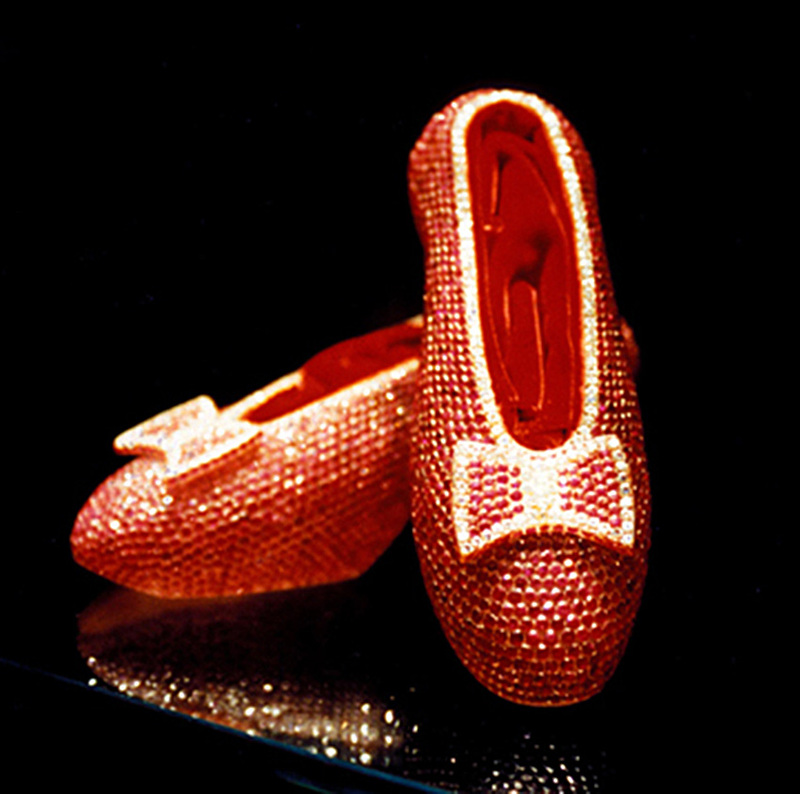 The ruby slippers are made with bountiful materials but its iconic status made it a highly valuable item. There are three of these slippers – one was sold at an auction, one was stolen and the last one is exhibited at the Smithsonian’s National Museum of History.